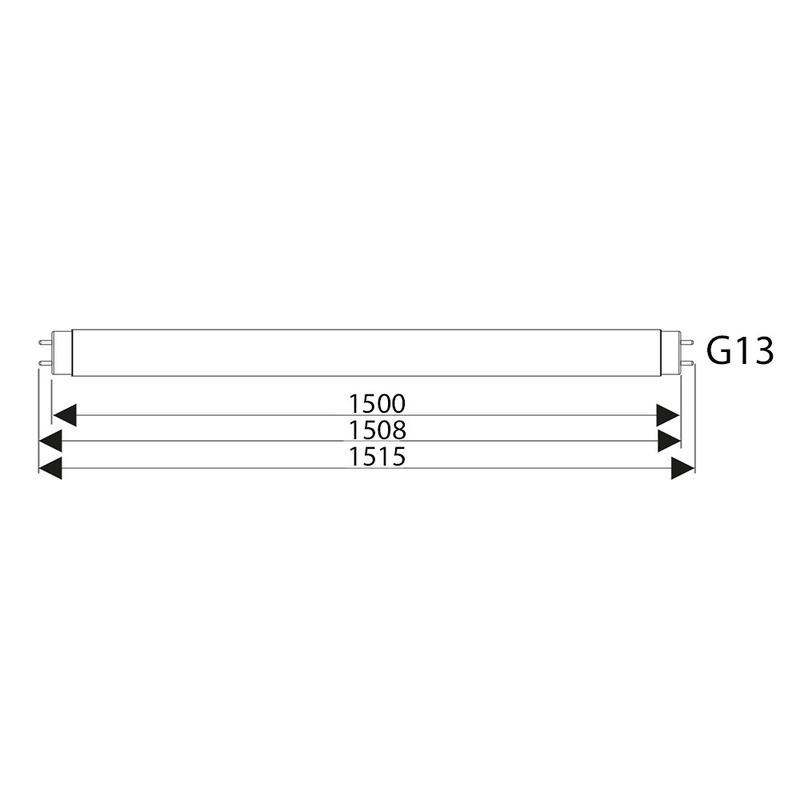 Tube LED T8 for replacement of old fluorescent tubes, its beam of light with a distribution angle of 120° (opal) and 140° (transparent), with possibility of orienting the axis perpendicular, added to the two color temperatures make it suitable for any installation environment where you want to get a type of diffuse and uniform illumination. G13 socket to plug as traditional tubes, with LED driver with power factor correction incorporated in the tube, requires no extra power supply for the operation and works with the mains voltage. If used on a ceiling light in place of a traditional fluorescent tube, simply remove the existing starter and substitute with the supplied LED starter and the new LED tube will start to operate without the need to tamper with the existing connection or add-ons. Available fixtures with LED connection.